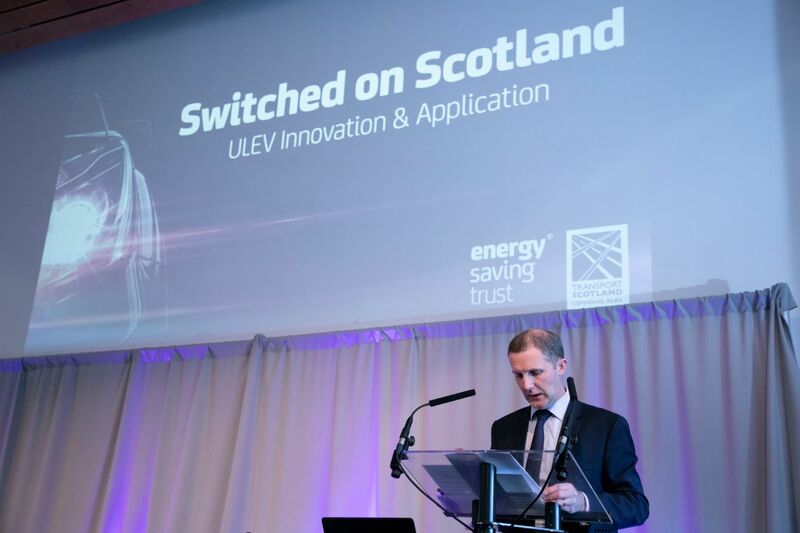 Energy Saving Trust recently held the first Switched on Scotland Forum at Dynamic Earth in Edinburgh, in partnership with Transport Scotland. More than 150 delegates attended representing businesses, local authorities, public sector agencies, charities and not-for-profit organisations. The event encouraged delegates to think about what sustainable transport will look like in years to come, while shining a spotlight on recent breakthroughs and best practice in the industry. In Scotland, 37% of Scotland’s greenhouse gas emissions are accounted for by transport. For this to change, we need to work collectively to tackle emissions, recognising that changing technology, behaviour and the type of transport we use altogether, all has a role to play. Switched on Scotland opened with a welcome from Scottish broadcaster, Dougie Vipond. Speakers from all over the UK credited Scotland for its forward thinking approach to the decarbonisation of transport. 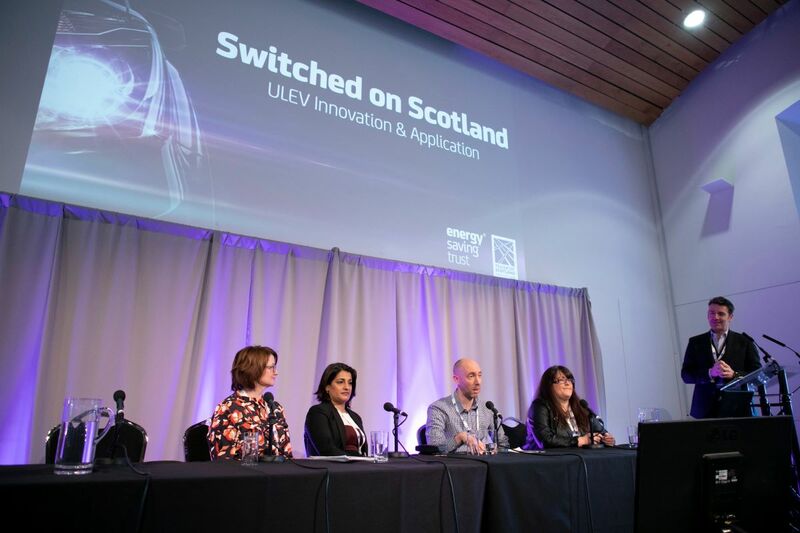 They particularly praised the ChargePlace Scotland infrastructure for its coverage, which compares favourably with networks across Europe, and Dundee City Council, for its city-wide approach to the rollout of electric vehicle (EV) charging infrastructure. 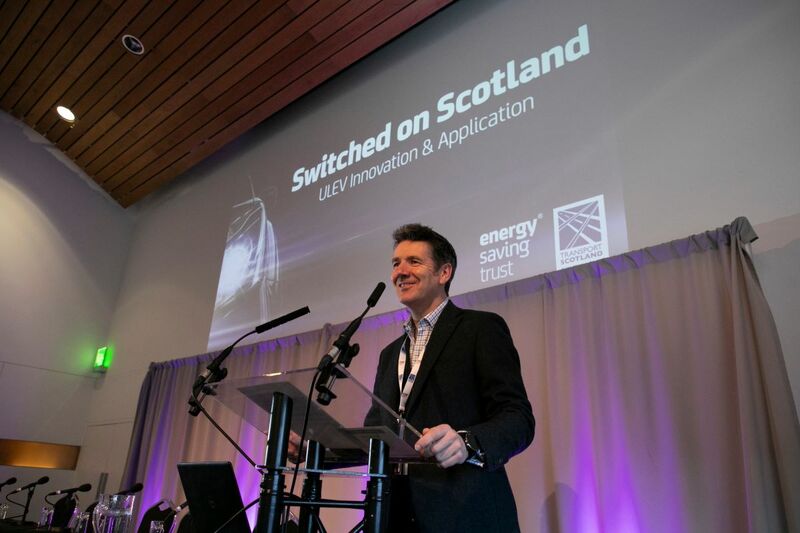 Workshops and panel discussions provided food for thought with topics ranging from grid energy balance for EV charging, training the workforce to service EVs and the rollout of Scotland’s low emission zones, all with a focus on real life examples, experience and successes to date. Energy Saving Trust launched its Electric Fleets: Practical insights into the adoption of ULEVs procurement report at the conference. This valuable resource provides practical information on the adoption of low emission vehicles and will support public sector decision makers develop their fleets and the fleets of their supply chain. Mr Michael Matheson MSP, Cabinet Secretary for Transport, Infrastructure and Connectivity addressed the conference to outline Scotland’s ambitious 2032 target, which represents a 66% emissions reduction. The Cabinet Secretary highlighted the collaboration and partnership working, vital in delivering against the Scottish government’s clear ambition. One highlight of the day came from Euan McTurk in his session about advances in battery technology. Fielding a question about lifespan, Euan told of a frequently rapid charged Nissan Leaf taxi, which had a perfectly working battery after 170,000 miles on the road. You can hear more from Euan in our Under the Bonnet webinar.